A fine piece of classically-styled anime with a bit of modern polish. ...Final Fantasy: Legend of the Crystals does a post-apocalyptic Dune. Sometime in Earth's future, giant monoliths that came to be known as Rodo fell from space and turned the earth into a vast desert, devoid of greenery and water save for a patch of forest known as the Holy Green near each of the monument-like Rodo. After generations of living in this harsh world, many humans have become Rodoists, joining a cult that serves the Rodo. Another organization, the rebel terrorist group Hazard, has devoted itself to fighting against the tyrannical rule of the Rodoists. Somewhere in between are what is left of the Earth's population, scraping out a living in the desert. One of the people in between is Ran, a daring boy who aspires to join Hazard, but is also searching for the man who killed his mother. 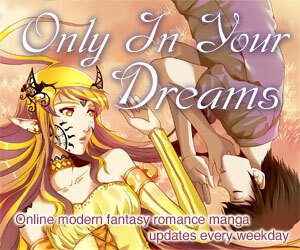 When Ran runs across a silver-haired girl named Aira, he gets his chance to join Hazard. But there is something special about Aira--even she's not sure what--and both Hazard and the Rodoists want it, leaving Ran to chose sides amidst what is rapidly turning into an all-out war for the future of the planet. Green Legend Ran is classic anime of the best sort. It has the cute (but not too cute) kids, the convoluted plot, sporadic humor, and a well-crafted post-apocalyptic world. And, it lives up to the standards of some of the better classics, adding some modern polish to the formula. Probably the best part of Green Legend Ran is the characters. They're an interesting cast, each with their share of secrets from the past and a distinct personality, and a fair amount of development takes place, particularly on the part of Ran. Most of the acting (at least in Japanese) is also very good, although Hazard's leader is seriously miscast--he's acted as well as could be expected by Aono Takeshi, but he sounds more like a cranky old man than the square-jawed commander that he looks like. The visuals are another area where Green Legend Ran distinguishes itself. The character designs, though sort of old-fashioned, have a unique, angular style that reminded me of Final Fantasy OAVs. The animation, although somewhat uneven, is for the most part very fluid, and the character animation in particular has a distinctive, exaggerated sense of motion. The background art is also a bit unusual, with a loosely painted style that lends itself well to the dusty towns and desert landscapes of the future world. I'll also point out the end theme song, which is quite pretty. The only real flaw is the story, which doesn't quite reach the level of the rest of the package. Although interesting (and a bit weird), it seems a little hurried and gets choppy at times, and it is complicated enough to be confusing (which, admittedly, some people may appreciate). Overall Green Legend Ran is a fine piece of work, with creative character designs, fine animation, very interesting characters, and a complicated, if a bit uneven, plot, plus a smattering of humor thrown into the mix. Though not well known, it's definitely worth watching, and I'd even go so far as to recommend you see it a couple times to really appreciate it. The original US DVD release was incredibly minimal (there wasn't even a menu), but it was one of Pioneer's first, and thus also one of the earliest anime DVDs, period. The disc was one of only six or so that Pioneer released with the unusual box style of a CD jewel case in a DVD-case-sized cardboard slipcase, letting the buyer go with the more compact box format if they preferred. An edited version of the series was shown on the Sci-fi channel back in the '90s. Available in North America from Pioneer on a single bilingual DVD, which is a re-release of Pioneer's original DVD (one of their first). Was previously available on a single dubbed VHS volume of the edited version shown on the Sci-fi Channel, and before that as a box set of three subtitled VHS tapes or three individual subtitled LDs. 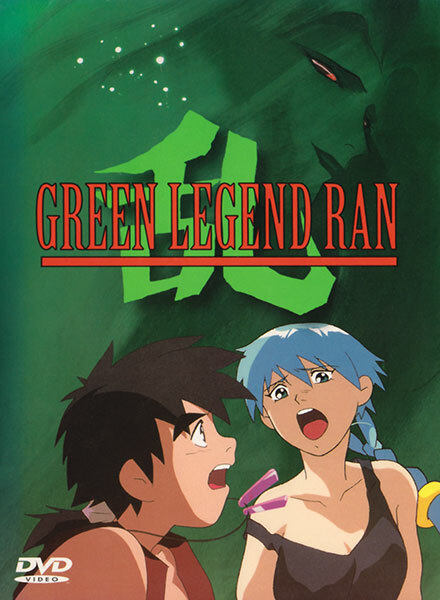 Green Legend Ran is Copyright © 1998 AIC - Pioneer LDC, Inc. Any images are the property of their respective rightsholders, and included for review purposes only under the fair-use clause of US copyright law.